Thanks guys. I appreciate the positive encouragements. I would have paid triple for the amount I use this app. Keep up the good work. Marino, I love newsrob, and loving the updates. Still holding out for share full article feature. I have voted for it but other users don't seem to care, so it's not getting up there. Once this feature hits I can get rid of feedr for good. At the moment I'm doing the awkward task of running both newsrob and feedr in parallel. Newsrob to read and share in google reader, but have to rely on feedr still to share full articles to those that don't have google reader (I sometimes also share to myself to keep record of a full news story in my gmail). Hoping the feature comes soon, it would make newsrob complete to me. And my sincere apologies for spelling your name wrong - damn you swype! Jivemaster, you make a compelling case, but the thing is that every feature that I do add to NewsRob (for some people) is another feature that I don't add (for other people). To make the right tradeoff here I listen to the interest expressed in uservoice. But no matter what, this feature will eventually get implemented, just not soon. Sharing will get a bigger part in NewsRob. There is just a lot of other stuff that I need to do first. Hard to say. If you provide a screenshot it would be easier to judge where you are seeing what, but from the top of my head I would guess you see ads that are part of the content and not the banner on the bottom that NewsRob ads. NewsRob does not filter out ads from publishers. To see if you have the pro version you can launch NewsRob and look at the header, does it say "NewsRob" or "NewsRob Pro"? Happy birthday! Just a little point: this page behaves very weirdly (HTC Desire, Dolphin HD, user agent = desktop). Vertical and horizontal scrolling constrained when zoomed. Never seen this before. This web site? I don't see in on my Nexus S with GB. I have seen this on other sites though, including lack of multi touch zooming. No idea what the trigger is. A bought the Pro version,which can be moved to SD card, but the old part of app is still on phone memory and can't be moved. This is problem for me, because I have not enough space. Can you add this possibility to the app? sorry, I don't want to do that. Apps2SD is broken and(!) Google didn't communicate its implication properly. 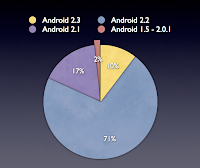 For Android 3.0 it seems it will be completely replaced and NewsRob will likely follow that approach. 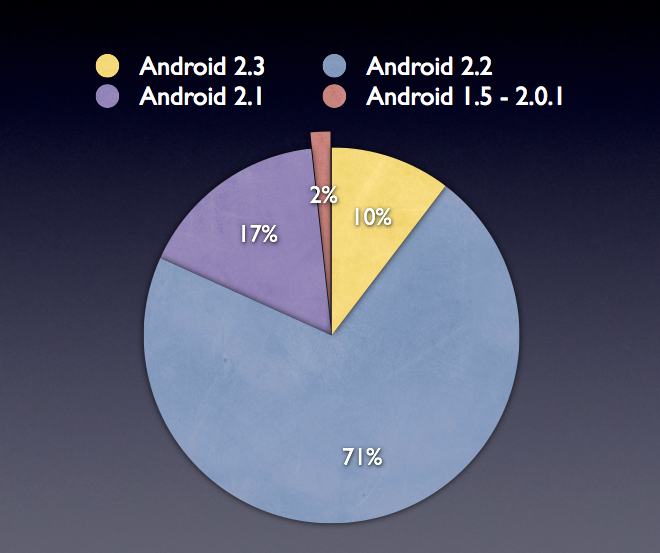 It will take some time though until Android 3.0 will be real for most users. I have buy the pro Version few weks ago. But the settings for sync are not god. and not only 100 or 250 for all. the other 14 together only 80.
and the other feeds One or Two articles at Day. yes you can use "Share Link" from within NewsRob. It will show you a list of possible targets for the share. If you have the Facebook app or a Twitter app installed then it will show up in the list, alongside with sharing it via Gmail or a text message etc. I love the app! I would like the app to remember were in the list I am, it's working if I hold down the home-button and choose NR it remember but that's not always possible. You can use a widget as a launcher. That gets closer to what you want, I think. I enjoy your newsreader better than all the rest. It is what makes my Android fun. It is what I prefer to use over my desktop or laptop. Any advice for a pro purchaser such as myself? yes, the best thing would be to come to the mailing list and describe the symptoms. After you get the fail message you could launch the free Log Collector app and send me the log (mariano.kamp@gmail.com), but still post to the mailing list. I don't know if this CM version is buggy, but per se it should work. Please vote for it there ... and yes, it is considered and will eventually be implemented. Yes, I see your point and for landscape orientation in particular (or a tablet) the way that news/folders are displayed will be different in future versions of NewsRob.